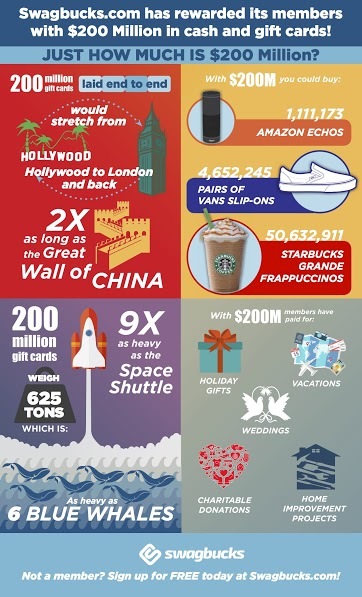 Being Frugal and Making It Work: $200 Million in Cash & Free Gift Cards by the Numbers! Are you a member of Swagbucks? If not... what are you waiting for? Join Swagbucks and start earning FREE GIFT CARDS for yourself!